I was sad to see some people who claim to be search experts actually syndicate that John Dvorak article stating that it was good. 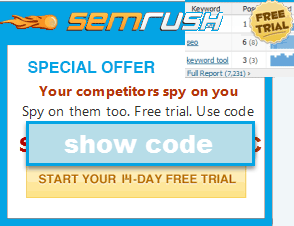 Of course there are some scammers in every piece of the marketing industry because anywhere where there is demand for a marketing service opportunistic people will look to take advantage of people, but not all SEO techniques are seedy or shifty. In fact, most are not. Steven Arnold wrote "Gaming search engines for fun or profit is of zero interest to me as are those who practice these dark arts," and he wrote that content was the secret. "SEO is a way for content free sites to game the indexing systems. Content, Aaron Wall, content. Not tricks, spoofs, and carnival tricks." That is the mindset of a guy who has probably spent thousands of hours researching search. Bizarre. Sure SEO can be used to temporarily promote garbage, but it is also used to make quality publishing business models profitable. It is no secret that many publishing business models are no longer effective. Mainstream publishing businesses are going bankrupt. They have nearly limitless content, but even with their huge online archives, it does not create enough traffic and profit to effectively subsidize the cost of new content production. The New York Times recently shared their profitable publishing strategy - waiting for many competitors to go bankrupt, and hoping they get enough inventory to become profitable. So here is a publishing company with a strong brand, tons of content, losing money, and their growth strategy is hoping that competitors go bankrupt before they do. These newspapers get direct promotion in the search results through the Google News OneBox (a rankings boost subsidy), and yet they still can't turn a profit. That really shows the flaw of the "content" mindset in the age of the internet. But one of the — Google — I mean, the harsh way of just defining it, Google devalues everything it touches. Google is great for Google, but it’s terrible for content providers, because it divides that content quantitatively rather than qualitatively. And if you are going to get people to pay for content, you have to encourage them to make qualitative decisions about that content. Relevancy algorithms are built around making sure the search ad network makes money (even while many publishers do not). Some people run businesses. Others are bankrupt, but are just not aware of it yet. I have sites with great content that went nowhere. I had a few sites with sub-par content that got tons of rankings and exposure. Some of our sites make good money. Other projects have lost more than I care to mention. And we have sites at just about every level in between. What is the difference between all of them? Marketing. SEO is a subset of marketing. It can be done effectively or ineffectively. It just depends on how healthy the target market is, who is doing the work, and how much they care for the project. Many businesses struggle for survival or flourish based on a tiny couple percent change in profit margins. If you routinely rank #5 in the search results then it is pretty easy to see the potential upside from a #1 ranking. Google's eye tracking research highlight this distribution trend as well. Based on eye-tracking studies, we know that people tend to scan the search results in order. They start from the first result and continue down the list until they find a result they consider helpful and click it — or until they decide to refine their query. The heatmap below shows the activity of 34 usability study participants scanning a typical Google results page. The darker the pattern, the more time they spent looking at that part of the page. This pattern suggests that the order in which Google returned the results was successful; most users found what they were looking for among the first two results and they never needed to go further down the page. Last year Google's Peter Norvig stated that Google did not use usage data directly in their relevancy algorithms because it is not very sensitive to new ranking models. When the order of search results are changed, people will still have a strong tendency to click inferior result if it appears at the top of the search results. Like people, businesses are born, grow, then die. A solid SEO strategy can be the difference between a solid company and a company that no longer exists. As many of the newspaper companies go bankrupt with tons of “content,” our sites (and profits) will keep growing. Not because of “content” but because we leverage marketing & SEO to ensure our content garners enough exposure to turn a profit. Ive been in SEO for over 2 years, now..and even I have to kind of tell myself "Dude, dont just look at the #1, #1 isnt necessarily better than #2 !!" every now and then, because I still got that tendency to assume (subconsciouly) that #1 > #2. I totally agree Aaron, SEO is a set of techniques used to help improve Website's visibility. A well done SEO strategy makes a huge difference in a Website's performance. It is inconceivable to me that anyone who has done any rudimentary testing of white hat seo tactics, in conjunction with good content, could not derive win-win results and benefits for publisher and reader. Keep up the great work, Aaron. I do think it's a bit mindless of the NYT to wait for their competitors to die and hope their content saves them. If they were to use SEO related strategies to help promote their content they might be getting more exposure. Can you think of specific ways the NYT can improve their profit margins through search marketing, in addition to what they are already doing (or may not be doing)? I'm just thinking that if the traditional blog ad network models are currently having trouble turning a profit, how could organic search efforts provide a means of increasing their margins? I think they should create specialty brands and specialty websites. How hard would it be for them to clean up on high $ areas like finance, investing, health, etc. if they simply built niche brands around those markets? Give him a few days and he will flip it around and say everyone in SEO is right! Do you think I didn't know what his point was? How could I have embedded that video if I was unaware? I knew what he was doing...but unfortunately I saw some other idiots spreading the message saying it was good...I wrote the above post in a response to that. Hi Aaron - your pie chart appears to reflect the AOL data dump from a couple years back. 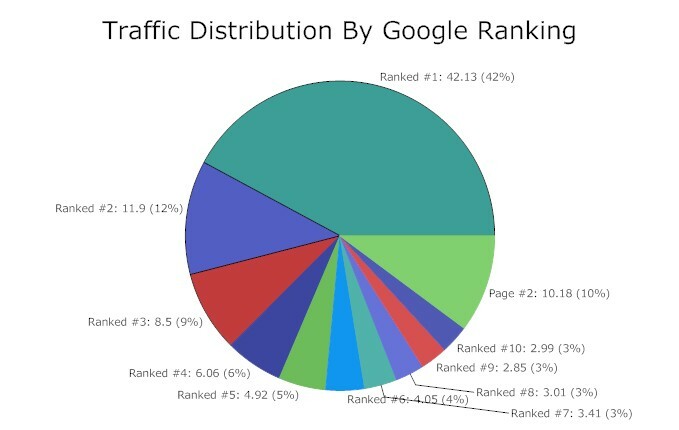 Not sure if you've seen the cornell study: http://www.cs.cornell.edu/People/tj/publications/granka_etal_04a.pdf, summed up quickly here: http://www.seoresearcher.com/images/articles/click-distribution-serp.jpg. It basically supports the AOL data, but confirms an even greater advantage to being number 1. I do think it's a bit mindless of the NYT to wait for their competitors to die and hope their content saves them. That is extremely laughable. As if they, finding themselves the last standing of the old media giants, will turn to us and say, "if not us, then who?" It's rather like picturing the last dinosaur thinking to itself, "Finally! Room to breathe."